Many are confused by the difference between SSD hard drives and flash hard drives. This should clear it up. 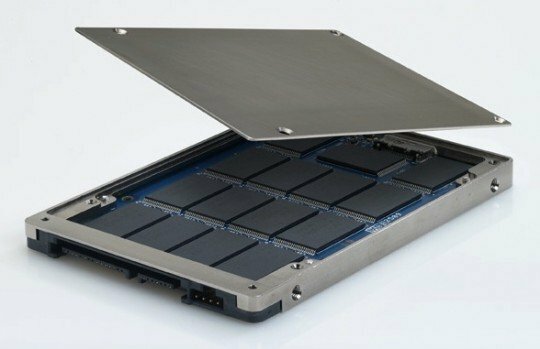 SSD stands for Solid State Disk, and it means storage that doesn’t require moving parts. This concept has been around for decades, and originally it was RAM-based, i.e. the storage was similar to today’s regular computer memory. This means it was volatile, so it required that power was continuously applied or the data would be lost. Flash storage is also relatively old technology, but started as a way to permanently store information without power being applied. Flash storage has traditionally had significant aging issues. Basically you could only write to the memory a certain number of times before you would lose that section of the drive, and performance would generally get worse over time as well. As these issues with Flash storage started getting better (in the late 2000’s), manufacturers started making SSDs out of Flash memory instead of out of RAM. Modern SSD hard drives are Flash-based, so today there’s not really a difference today between SSD and Flash. SSD is simply a disk that doesn’t have moving parts, and Flash is the implementation that allows that to happen. USB thumb drives have used Flash storage for a long time as well, but the quality of the Flash storage in those is typically much lower than the Flash memory used in SSDs. This means much worse performance, etc. SSD just means a hard disk that doesn’t move. Flash is a type of memory that is very fast and doesn’t require continuous power (non-volatile). SSDs used to use RAM, but now use Flash instead. In short, you shouldn’t compare Flash to SSD just as you shouldn’t compare batteries to lithium-ion. In both cases the latter is a type of the former.